Back in the day, I was a major fan of a nice bacon egg and cheese sandwich from that fast food place that shall not be named. 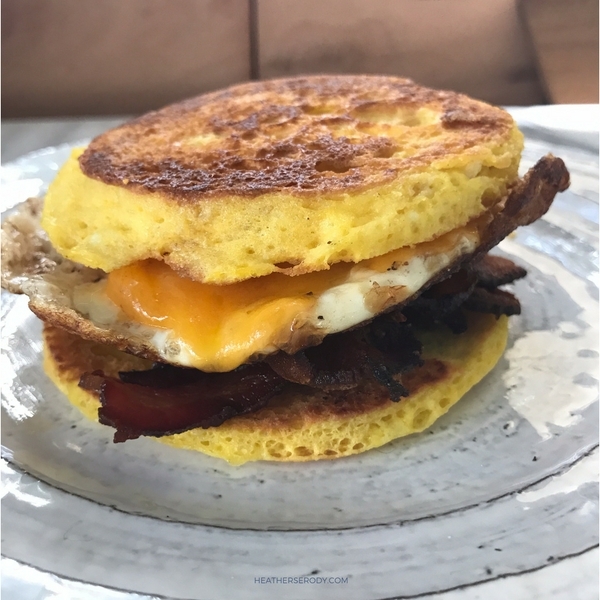 This week's particular craving for a breakfast sandwich led me to create this keto breakfast muffin recipe. 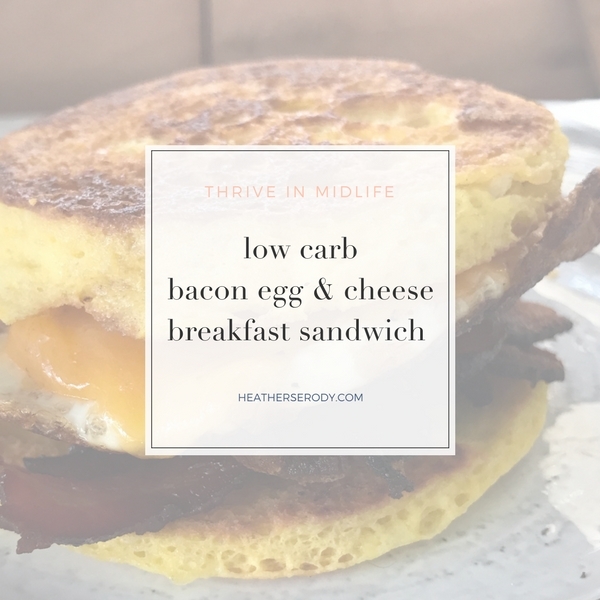 And, now we can get back to enjoying a low carb bacon egg & cheese breakfast sandwich again. Yay! With just 4 total carbs per sandwich, it's totally keto approved. I hope you love it as much as I do. Dry toast your keto breakfast muffin in the skillet, turning once until nicely browned on both sides. 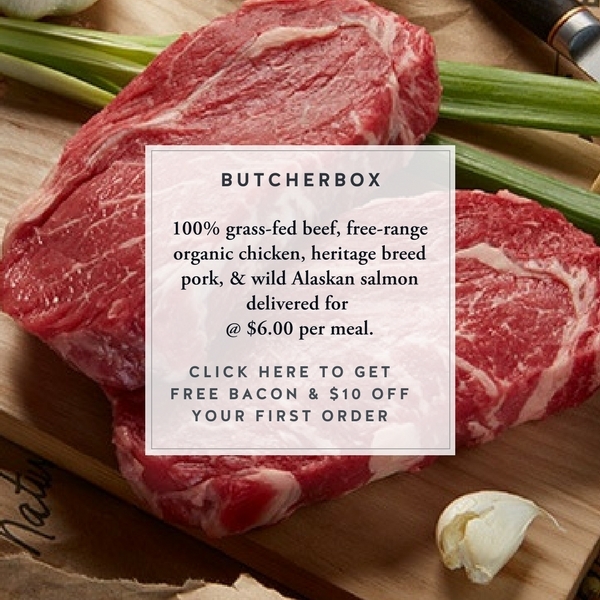 Add 2 slices of bacon & cook until crisp, remove from pan. Crack an egg into the pan and cook in hot bacon fat. Halfway through cooking, add a slice of cheddar cheese on top of your egg & cover pan to allow cheese to melt. When it's finished cooking, remove from pan. 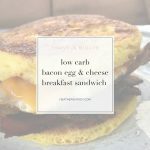 Assemble your breakfast sandwich to your liking & season to taste.